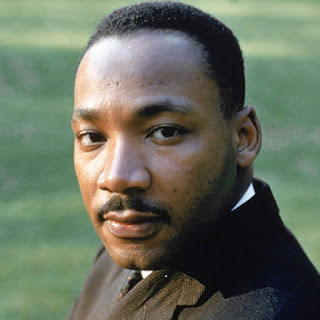 A Lean Journey: Five Leadership Lesson From Dr. Martin Luther King Jr.
Five Leadership Lesson From Dr. Martin Luther King Jr. The Martin Luther King, Jr. Holiday celebrates the life and contributions of America’s greatest champion of racial justice and equality, the leader who not only dreamed of a color-blind society, but who also lead a movement that achieved historic reforms to help make it a reality. We commemorate as well the timeless values he taught us through his example — the values of courage, truth, justice, compassion, dignity, humility and service that so radiantly defined Dr. King’s character and empowered his leadership. Dr. Martin Luther King Jr. left us with so many words and lessons that we can apply to evolve into a transformational leader. Leaders communicate a concrete vision of the future with a clear call to action to inspire others to get there. People want to follow someone who they know is going somewhere. People do not follow leaders who don't care about their values, their wants and needs, or the hopes and aspirations of those in the organization. Excellent leaders simply are not passive; they are active. They will challenge the status quo and not settle for business as usual. When there's a major challenge facing your organization, you must step forward to initiate new methods of getting things done to solve problems and ignite innovation. Being courageous does not mean you're not afraid. It just means you care more about something else greater than what you fear. Don't be reluctant to take on new initiatives even if they may not pan out. Those who raise their hands climb the ladder faster. Courageous leaders do what's right, not what's easiest, and focus on the good of the many over the good of one. Wholeheartedly showing someone you believe in him is the simplest, most powerful thing you can do to bring out his best. Leaders have faith in not only in themselves but others. The authentic leader readily acknowledges the commitment and hard work of her followers. When times are tough, people need to know that their work matters. An excellent leader listens to the ideas of the followers and responds. Excellence and leadership should be the signature traits of all of us, street sweeper or president. To be an authentic leader, you simply have to act — to "lead by example."